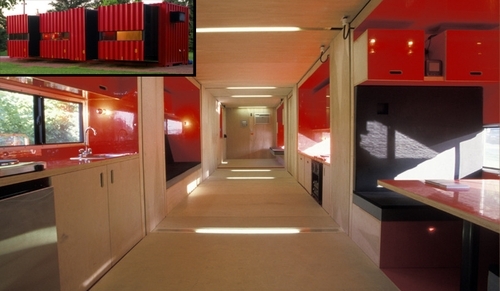 LOT-EK is an incredible company driven by Ada Tolla and Giuseppe Lignano to upcycle materials to construct homes. 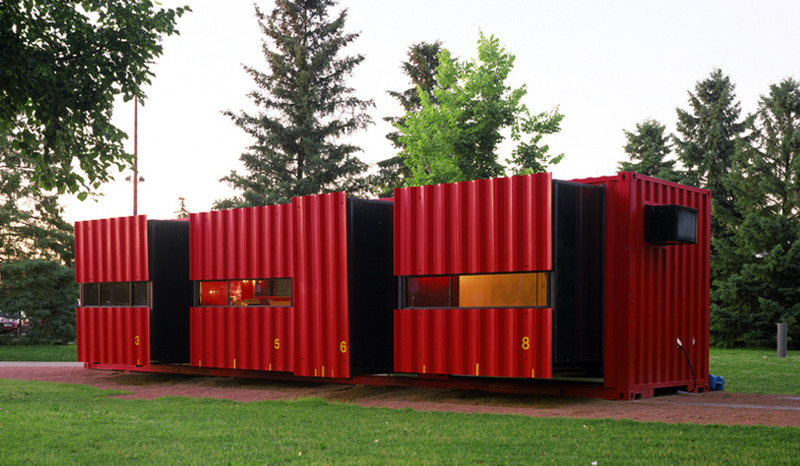 They have a lot of experience with modifying 40 foot (12m) shipping containers, in all sorts of different configurations, for both Commercial and Residential use. 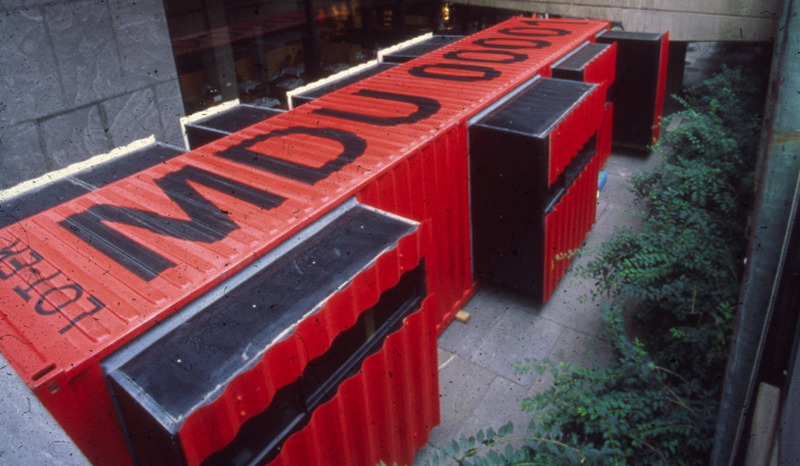 The advantages of this resource is: Sustainability, Modularity (lego kind of construction), Durability (they are built to last), Efficiency (the building is erected a lot faster). 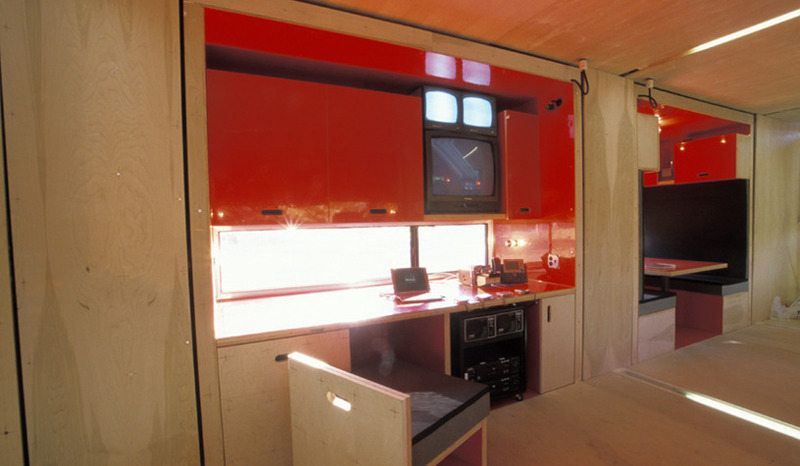 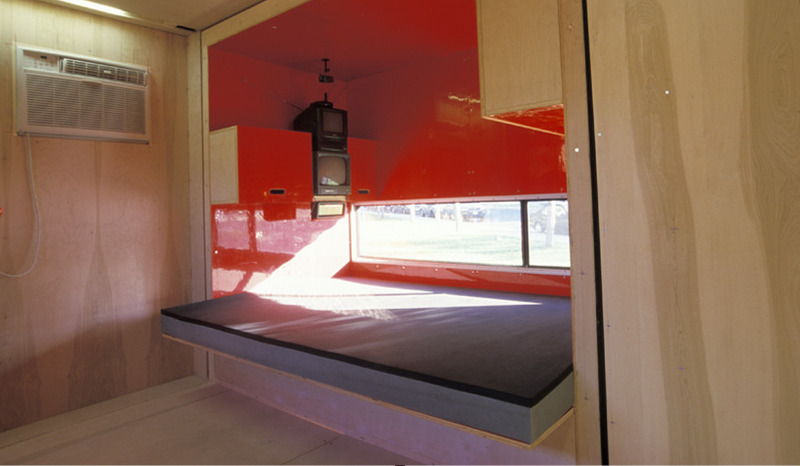 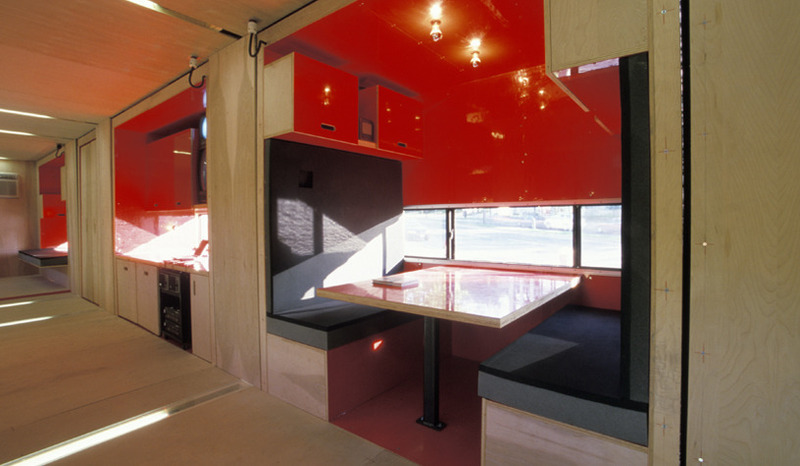 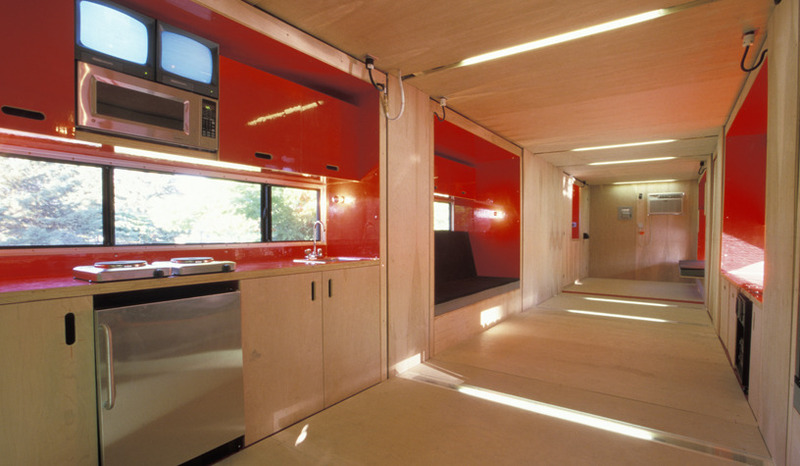 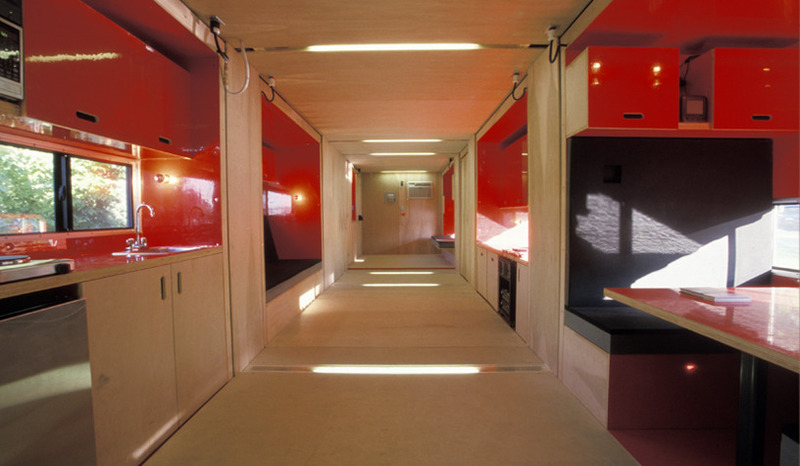 The one we are featuring today is a MDU (Mobile Dwelling Unit) designed for the owner to take around the world. 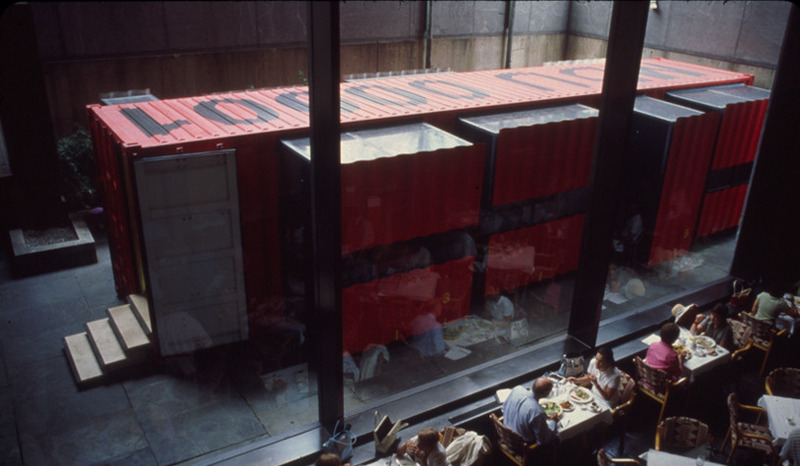 When in transit the sub-volumes (the parts that stick out of the container) are pushed in allowing it to be transported like a normal container.